Not a shock, but it's nice for it to be confirmed: Nintendo president Satoru Iwata confirmed that there's an all-new Super Mario game in development for the Nintendo 3DS. Being designed by the same team responsible for the Super Mario Galaxy games, all Nintendo was willing to really show today was the logo. 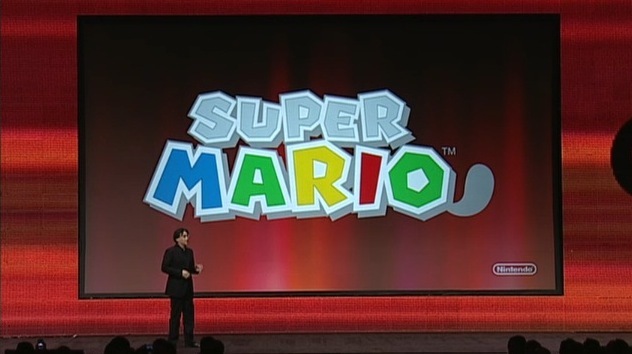 As Iwata points out, the logo is temporary, but revealing. See that tail? Well, it means something, but Nintendo's not willing to get into specifics.